This is the third post in my series on the handling of domestic violence charges in Peoria, Illinois. My last post discussed what one can expect after a domestic violence arrest. It is important to understand that there are multiple aspects to building a credible defense. In this article I will discuss another important topic – having to defend against false claims and charges. If you find yourself having been falsely accused of domestic assault then it is crucial that you contact an attorney as soon as possible. Call my office today to speak with a lawyer. There are multiple reasons why Peoria residents may find themselves facing domestic violence charges which are based on a false allegation. First, the claim may be the result of an ex trying to “get even.” Second, such claims are sometimes the result of someone attempting to gain an advantage in a divorce or child custody case. I will discuss each of these situations in turn. People do not always behave rationally. When a romantic relationship ends the most productive thing one can do is move on in as efficient a manner as possible. Unfortunately there are those who wish to make life as hard for their ex as possible and cannot handle the idea of a relationship ending. Such people sometimes make false claims of abuse, assault, or other violence in an effort to create legal problems for their soon to be ex. 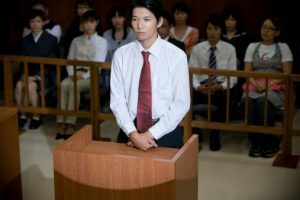 These claims can have a devastating impact on the accused’s future if they are not properly defended. People also sometimes make false domestic violence claims out of a desire to improve their standing in a child custody dispute or divorce. A history of domestic violence is one factor a Court will consider when determining which parent should be given custody of a child. Parents wishing to obtain custody will sometimes make up a false claim against the other with the hope that it will lead to a conviction which, in turn, will lead to a favorable Family Court ruling. If a defendant is convicted of a false allegation then they risk losing custody of their children in addition to the potential criminal penalties. It is crucial that you seek representation if you have been arrested due to false domestic violence claims. It is understandable that you may see the case as “silly” if nothing actually happened. You must understand, however, that prosecutors and the Judge will take the matter very seriously. Many make the mistake of not appreciating the gravity of their situation until it is too late. By retaining an attorney you improve your chances of being able to keep your life on track. I am a former prosecutor with over twenty years of legal experience. I am familiar with our local legal system and will apply this knowledge to your defense. Contact my office today to speak with a lawyer.